1. First log in onto Tabroom.com with your username and password. That will take you to your homepage. 2. Then scroll down to "Your Account," which is located on the right hand column of the page. Click on "Link your person to a judge." That will bring you to a page that prompts you to search for yourself. 3. Please type your name in and click "Search." There will be a page that pops up that lists all judges registered on Tabroom with your name. 4. Please pick the correct judge and link yourself to the judge. If you are confused with judge you should link yourself to, it helps that Tab also lists which school that the judge judges for. 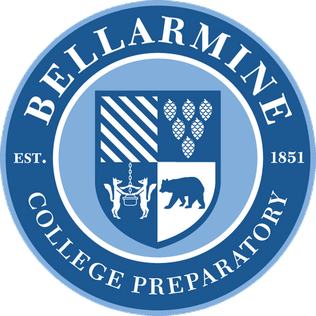 In other words, look for your name and "judges for: Bellarmine College Prep" and click to link yourself to that judge! 5. Tab may also ask you to confirm that you want to link. Please make sure all information is correct and confirm the link. When you login to your Tabroom account, you should be taken to a page where you will see the debate that you need to judge along with the words "START ROUND" in a green box. (Click on your email address in the top right corner to return to this page.) If you know that you have been assigned a ballot, but when you login, you do not see the debate you are supposed to judge, click on the "Current Ballots & Panels" yellow tab or "Upcoming" blue tab under the "Judging" section on the right hand side. Your ballot should show up then with the "START ROUND" green box located above it. Please read the following information linked above for instructions on how to navigate your ballot. 1. I cannot reiterate the importance of clicking "START ROUND" once both debaters are present. This lets Tab know that you have received your ballot and that both debaters are at the room ready to debate! 2. After you make your decision, please fill in the ballot accordingly, points and winner. Please also give substantive comments and a clear and thorough RFD. Feel free to use the "Save RFD and Comments" button at the end of your ballot to save the comments that you've written thus far in the duration of the round. 3. You will be asked to confirm you ballot once you enter it. If all the information is correct, click to confirm. If you'd like to revise your points and decision, you may click the red button to go back and re-enter points and decision. YOU MAY ALWAYS GO BACK TO REVISE YOUR RFD AND COMMENTS AFTER YOU SUBMIT THE DECISION. Please do not delay the tournament by waiting to turn in your RFD, Comments, and Decision at the same time. 4. All Decisions are due at 4 PM (2 PM on Friday) the day of the round. DO NOT DISCLOSE ANY RESULTS FOR PRELIMS! 5. Refer to the Tournament Invite or the Tournament Directors: Sherwin Lai, Xavier Liu, or Mr. Langerman for more information about judging or Tabroom mishaps during the tournament.